It's that time again...July Empties! 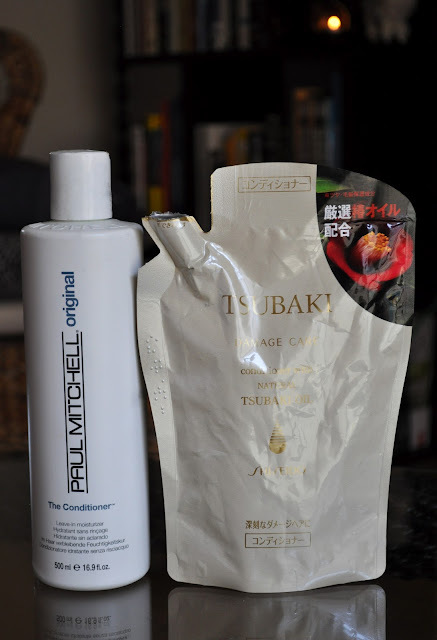 please click here, if you would like to read up on the Tsubaki brand. Paul Mitchell Original "The Conditioner": When I leave my hair curly, this my staple leave-in conditioner, my hair cannot be without it! 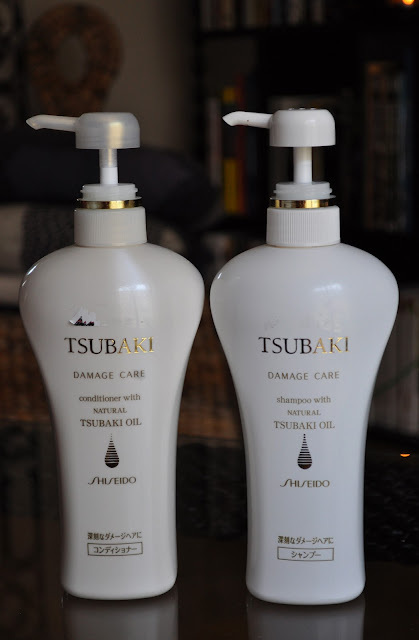 Shiseido's Tsubaki Damage Care Conditioner Refill Pack: Love this condtioner! It really keeps my hair soft and manageable. Covergirl Lash Blast Volume Waterproof Mascara: Lash Blast is a good mascara, but I'm not sure I would repurchase the orange tube. 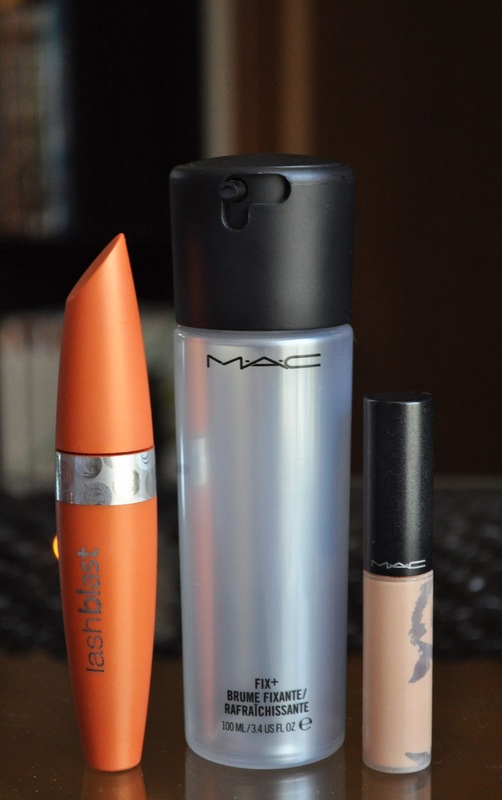 Mac Fix+: I've been using Fix+ as a daily spritz to sooth and refresh my skin. Mac Select Moisturecover Concealer: One of the many concealers that I use under my eyes. Will repurchase. Smashbox Photo Finish Lid Primer: For some odd reason, I have a ton of these Smashbox lid primers. Photo Finish is a decent primer, but not a favorite. I found it hard to spread evenly and even harder to blend out eye shadow over it. Laura Mercier Flawless Skin perfecting Water Moisture Mist: I love Laura Mercier, but I have to say that I've been quite disappointed with her skincare line. I hoped this mist would hydrate, but it did absolutely nothing for my skin! Chanel Precision Mousse Confort Rinse-Off Rich Foaming Cream Cleanser: I loved this facial cleanser! My skin felt clean, moisturized, and looked fantastic!! 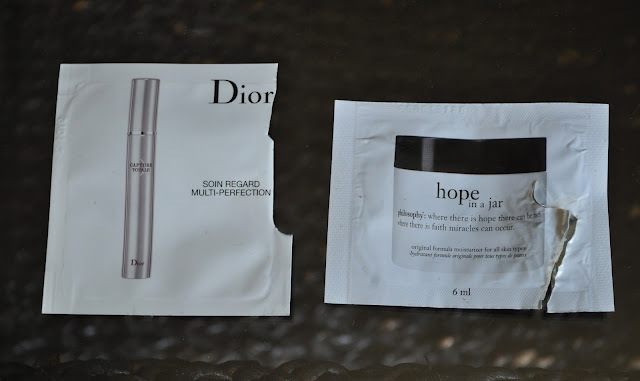 Will definitely repurchase!! Chanel Precision Hydramax+ Active Nanolotion: Loved the Hydramax+ Active Nanolotion! This toner left my skin feeling lush, and I believe it helped my moisturizer do a better job absorbing into my skin. Not sure if this is available in the states??? Dior Capture Totale Multi-Perfection Eye Treatment: Dior Capture Totale did a great job at keeping my eye area hydrated, smooth and firm. 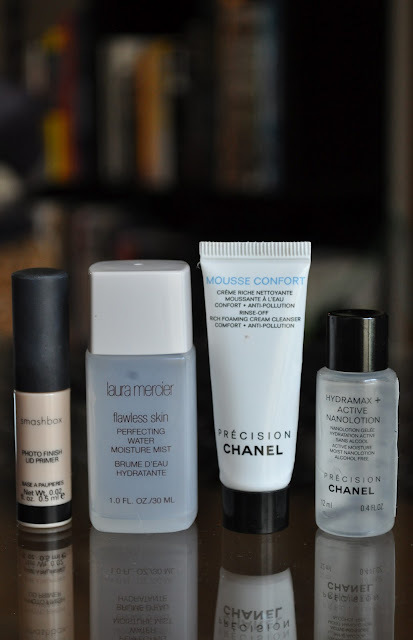 I definitely repurchase! Agreed!! I'm always on the hunt for best mascara, and I've found a few. Have you tried Helena Rubinstein? The smell was revolting! and the texture was way too watery for my liking. As a refresher spritz for your skin I can only recommend the alchohol free Omorovicza Queen of Hungary Mist. You REALLY should try it. A leeeetle bit more expensive than MAC but me thinks - a lot better for the skin!! !